Remember when I reviewed Kamisama Kiss last year? Do you remember when I said how I originally dropped it after one episode and that I picked it up again for some reason? Remember how much I enjoyed it? So much so that I am enjoying the hell out of it’s second season? Well, here I am again with another series I dropped after a few episodes during Impressions AND it has two voice actors that were in Kamisama Kiss. Maybe I’ll be two for two with this one! We’ll see. Code:Breaker is a 13 episode Action/Supernatural/Comedy series based on the manga by Akimine Kamijyo and published by Kodansha. The manga is currently available in the US thanks to Del Rey Comics. The series from Kinema Citrus studios and director Yasuhiro Irie aired during the Fall 2012 season. As of this review, the series is licensed by FUNimation Entertainment (NA) and Madman Entertainment (AUS). It is also available for legal streaming thanks to Hulu (US only) and FUNimation (NA). Riding the bus one day, Sakurakouji Sakura looks out the window to see people being burned alive with a blue fire as a boy her age remains unharmed and stands over the people. When she goes back to the site the next day, there are no corpses or evidence of any kind of murder, just a small fire. When Sakura goes to class, she discovers the new transfer student is the same boy she saw the day before. 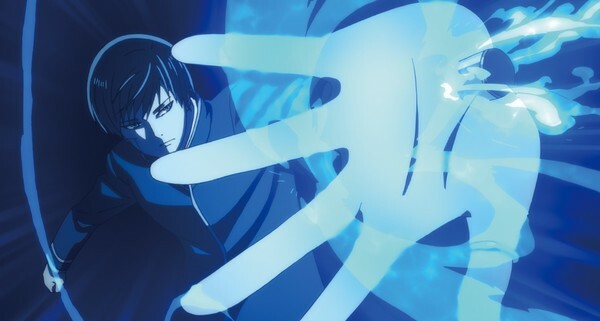 Sakura soon learns that he is Ogami Rei, the sixth "Code: Breaker," a special type of assassin with a strange ability and also a member of a secret organization that serves the government. Animation wise, the series is rather solid. It manages to keep a high quality with it’s animation, only taking little dips here and there for the sake of comedic effect. Though I do wish, slightly, that they would play a little bit more with facial expressions because there are some that are rather flat and expressionless. 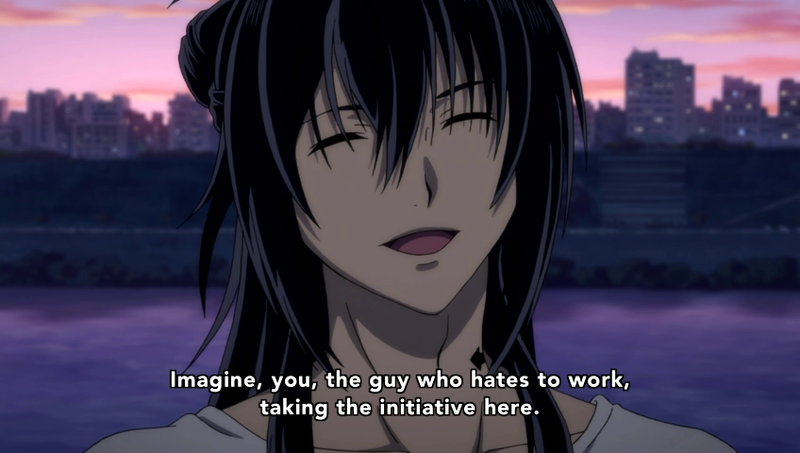 This can mostly be said about Yuki, but then there’s Heike who just looks evil but actually isn’t. It makes for some rather confusing ideas about characters. 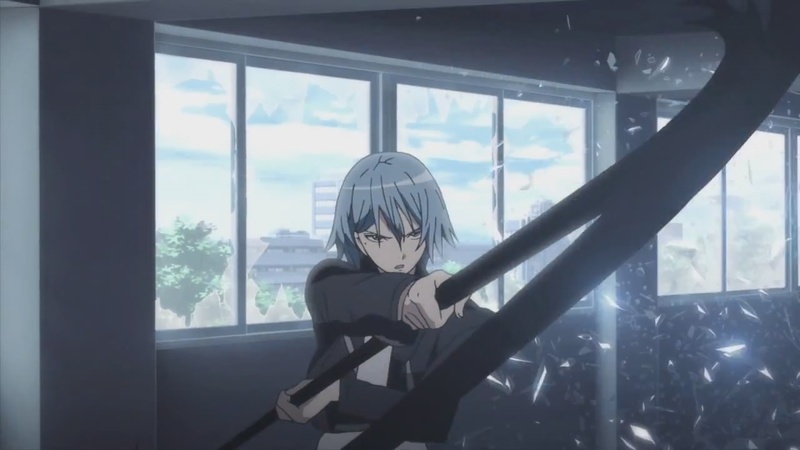 The action scenes are handled rather well, with the supernatural powers each of our Code:Breakers posses animated to the fullest extent. As for the soundtrack, it’s a little bit of an odd one. If I had to describe it, I would make the comparison to One Piece’s soundtrack. They use rather intense, yet somehow upbeat tracks throughout the series. But the difference between these two is Code:Breaker seems to use it at the wrong time and it can be rather overpowering. It made it a little hard to focus on what the characters talk about at times, and it also seemed to over use some of it’s tracks when it didn’t really need to. The story is rather simplistic and easy to follow, for the most part. The pace doesn’t collide with itself, making for a rather smooth ride over the course of those 12 episodes. However, that doesn’t mean there isn’t a cost to that. The downside is that there are some pieces of the puzzle that are never quite explained, such as, what a rare breed is. You basically have to try and figure out for yourself what some things are, and that can take away from the overall experience. If this was more of a mystery series that has those puzzles to solve, then I wouldn’t be as hard on it, but that’s not the case. Something else that has bothered me about this series is the ending. It seemed like a decent ending, however, there is one small hint at more the series could give us. The problem with that is there has been no news of a second season since the series finished airing, and that likelihood gets smaller as the days go by. Which means, we may have to read the manga to find out what else there is. But for all my harping on the show, it does manage to have a strong moral theme behind it, with Ogami and Sakura at the center of it. It’s the classic good and evil moral except the evil part is a bit more focused on. How evil is evil? Does this person really deserve this kind of punishment? This is the larger battle that Ogami and Sakura fight about throughout the series, and even, eventually, when Hitomi finally comes into the picture. The idea is rather interesting and one that doesn't seem to come up all that often now a days. However, I feel that the writing doesn’t use this to the fullest extent, in turn, making the overall story kinda meh. As for the characters, there isn’t much to go on here as, at least, half of the Code:Breakers don’t get any development at all while the other half do in some form or fashion. 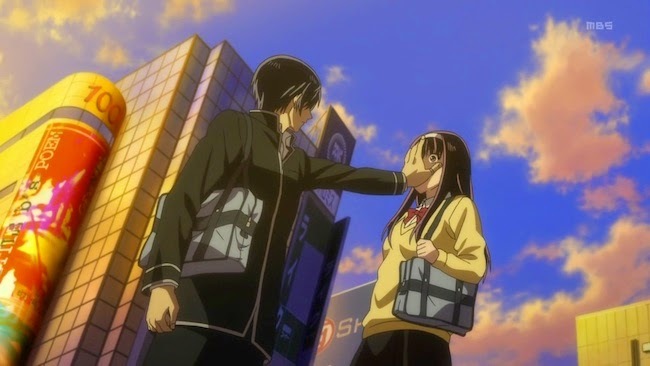 Obviously the largest development goes to both Ogami and Sakura as the two of them, and their personality and morals, heavily affect the other person. This makes for a rather solid foundation for their relationship as there are some little moments where people may go “Awwww he/she likes her/him”. 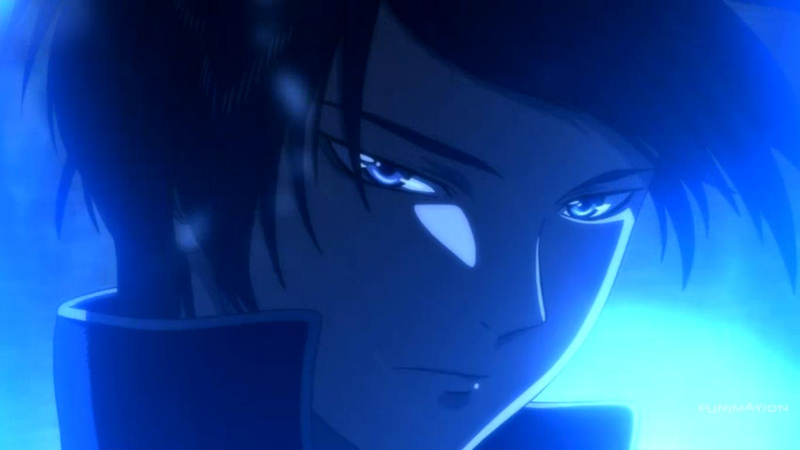 But, for Ogami, Sakura isn’t the only influence on him as Hitomi has a heavy impact as well. 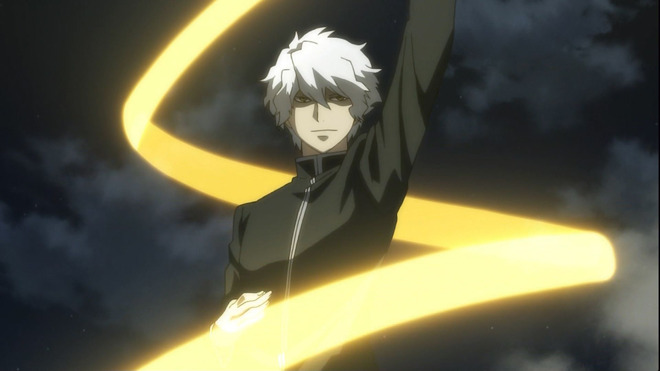 Throughout the series, we don’t know much about Hitomi aside from he’s a rouge Code:Breaker, however, in the later third of the series, we do get to learn more about him and what he has been through in order to solidify that influence on, not only Ogami but with, all the Code:Breakers. Hitomi’s story is, really, one of the better ones because we see the world through his eyes and what he experiences in order to change sides. The only other person that we get anything from is Toki. This is because of his family, and it does have it’s rather strong effect on him. Otherwise, our remaining three Code:Breakers, Heike, Yuki, and Hachioji, don’t offer all that much aside from assisting in moving the plot forward. Again, it’s difficult to talk about characters when the writing, in general, doesn’t give you all that much. The characters that do develop do so rather nicely and as naturally as you would expect from a 12 episode series, but since it’s obvious that there’s more to the story it would have been nice if this series fell under the 24-26 episode range instead. This would have made for more opportunities to develop the characters further. Who'd a thought Haberkorn had a potty mouth?! The english dub is a little interesting to talk about, mostly because of the adapted script. J. Michael Tatum (Attack on Titan, Free! Eternal Summer [script credits]) is the man responsible for the script, and it is, for the most part, rather good. However, there are times where words and phrases are used that do pull me out of it a little bit, probably because I, myself, don’t use phrases like cray-cray in everyday life. As for the performances, Micah Solusod’s (Soul Eater, Red Data Girl) performance as Ogami is a perfect match to me, vocally, but there were times where it didn’t do much to stand out. Jackie Ross (One Piece, Steins;Gate) and her portrayal of Sakura was interesting because this is the first I’ve seen her take on a major role, and she manages to keep up with the boys very well. So props to her. Todd Haberkorn (Fairy Tail, Free! Eternal Summer) somehow managed to steal the show for me with his performance as Toki. This jerk face of a character was a lot of fun to see Haberkorn play, but also it was fun to see his character have the biggest potty mouth I’ve seen from an anime character yet. Jerry Jewell (Fruits Basket, Case Closed) steps up to the plate as cat lover Yuki and it’s one of the poor performances, but that’s more because of the character and not the voice actor. J. Michael Tatum (Spice and Wolf, Ouran High School Host Club [voice acting credits]), in the most unlikely of twists, plays Heike and this is also one of the more poor performances. 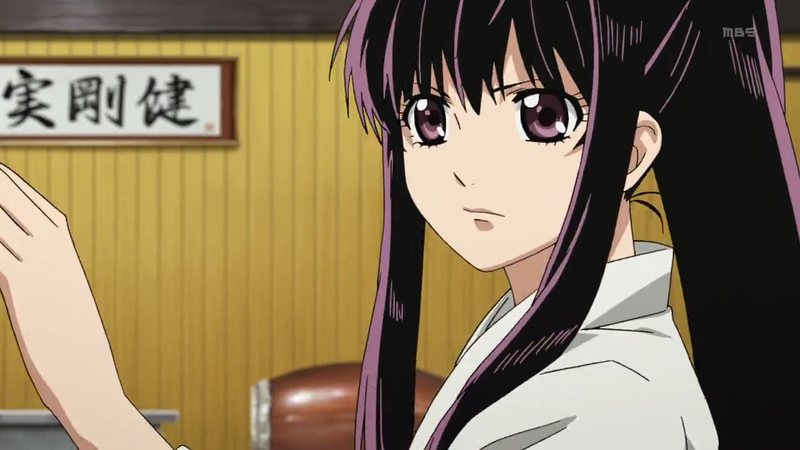 The personality of the character is there, but Heike is a little too grumpy compared to some of Tatum’s other roles. 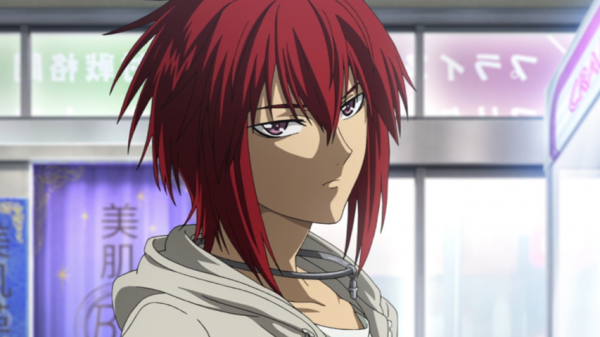 Jessica Cavanagh (Black Butler, Karneval) jumps in as Hachioji, and it was a nice performance, but nothing really noteworthy. Haberkorn wasn’t the only one to steal the show with his performance as David Matranga (Le Chevalier D’Eon, Watamote) as Hitomi was another favorite of mine. It just somehow fit, and it gave me a chance to really see what Matranga can do! Lastly, I’d like to mention Eric Vale’s (Casshern Sins, One Piece) performance of Yukihina because I do feel like it was also an ok performance. Sadly it’s hard to judge it when the character doesn’t appear much and doesn’t say a whole lot. Other notable performances include Jad Saxton (Wolf Children, Ghost in the Shell Arise) as Aoba and Sonny Straight (Full Metal Alchemist, Lupin III: The Woman Called Fujiko Mine) and Morgan Garrett (Ben-To, Laughing Under the Clouds) as Sakura’s parents Gotoku and Yuki Sakurakouji. There was a reason why I dropped Code:Breaker during my Impressions series, and doing this review kind of reaffirms it a bit. There’s nothing really special about it. While the story does have some solid themes, the writing really doesn’t use them to the fullest extent that I have seen from other shows similar in nature. There’s a lot more in this series that could be explored, but the likelihood of a second season slowly dwindles as the days pass by. Then again, the series did seem to end, so that just makes it all the more confusing. 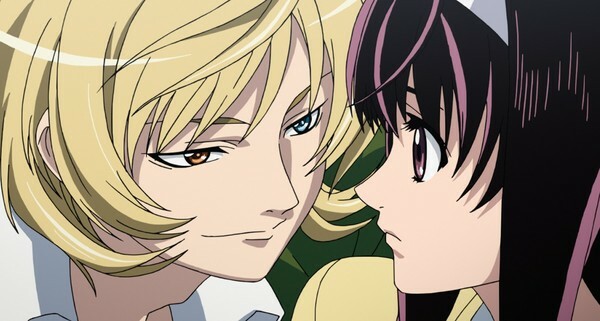 Code:Breaker may not be spectacular, but it’s at least something fun to pass the time. Final Rating: 5/10 An action series with good morals, but not so good writing. Next time, we begin the countdown to 100 with.... Well.... Why don't you see for yourself!